there are no lengths of violence to which we will not go." Our aim is to "starve the whole population - men, women, and children, old and young, wounded and sound - into submission,"
said First Lord of the Admiralty Winston Churchill. He was speaking of Germany at the outset of the Great War of 1914-1918.
arose in Parliament to exult, "We are enforcing the blockade with rigor, and Germany is very near starvation." McDonnell was referring to a series of violent confrontations between striking coal miners and the police in the Welsh town of Tonypandy in 1910. One miner was killed and hundreds injured in the clashes. Churchill’s decision, as then-home secretary, to send the Army to reinforce police “caused considerable ill-feeling towards him in south Wales and with some in the trade union and Labour movement”, says Politico. However, it “has been long disputed whether Churchill personally sanctioned the decision” to deploy troops, reports The Guardian. Former foreign secretary Boris Johnson, who has written a Churchill biography, told the newspaper that the wartime prime minister “saved this country and the whole of Europe from a barbaric fascist and racist tyranny, and our debt to him is incalculable. McDonnell should be utterly ashamed of his remarks, and should withdraw them forthwith”. But some commentators have echoed McDonnell’s views. “There’s a danger in Churchill gaining a purely iconic status because that actually takes away from his humanity,” Allen Packwood, director of the Churchill Archives Centre, told the BBC. Many fellow historians agree. John Charmley argues that it is important to remember that “great men can commit great mistakes, and Churchill’s are on the same gargantuan scale as his achievements”. Churchill was a keen supporter of eugenics, something he had in common with the leaders of Nazi Germany, where an estimated 400,000 disabled people were forcibly sterilised. He once said that “the multiplication of the feeble-minded is a very terrible danger to the race”, and drafted a highly controversial piece of legislation which mandated that those suffering from mental illness be sterilised, according to the New Statesman. LD: A side note on eugenics. Many White Nationalists see nothing wrong with eugenics and point out correctly that Darwin himself would have approved of eugenics, as would (naturally) his supergenius cousin Sir Francis Galton, known as the “father of eugenics“. Many eminent thinkers have believed in eugenics, including H.G. Wells, George Bernard Shaw, Alexander Graham Bell, Helen Keller, and DNA Nobel prizewinner Francis Crick. The fact that Hitler believed in eugenics does not make eugenics unacceptable or invalid. Crick went on to suggest that “irresponsible people” who were “poorly endowed genetically” should be stopped from having “large numbers of unnecessary children”. The best way to do this — “sterilization is the only answer” — is to bribe them by paying them cash. He points out that the Indian government had bribed its people to stop breeding like rabbits by offering them free transistor radios. Another Nobel prizewinner, Alexis Carrel, had been even more extreme in his advocacy of eugenics, suggesting in 1935 that “deviant” human beings should be suppressed so that the “hereditary biological aristocracy” could increase. 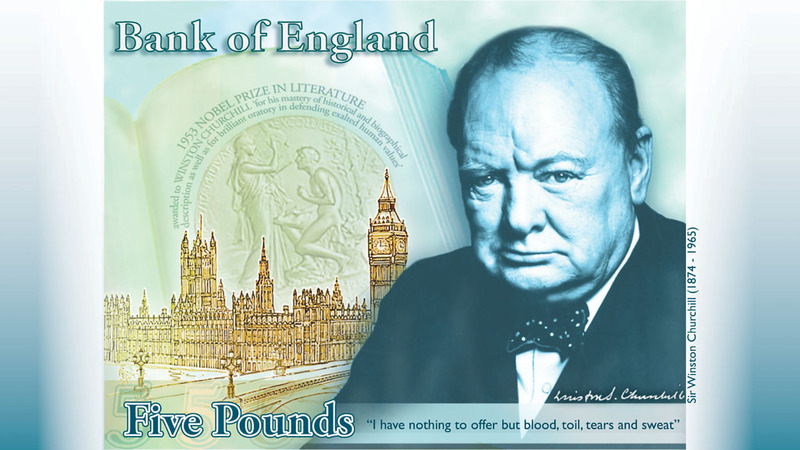 The announcement in 2013 that Churchill would feature on the new £5 note (see picture) was met with anger by Labour candidate Benjamin Whittingham, who called the late leader a “racist and white supremacist”, according to the Daily Mail. Hari blames Churchill for arbitrarily locking together warring ethnic groups in Iraq that “have been bleeding ever since”. The Israeli-Palestinian conflict can also be traced back to Churchill’s decision to hand over the “Over-Promised Land” to both Arabs and Jews, even though “he seems to have privately felt racist contempt for both,” says Hari. As secretary of state for war, Churchill sent in the infamous Black and Tans to fight the IRA in 1920. The unit became known for vicious attacks on civilians and violent reprisals. Historian Peter Hart described it as an “astoundingly counterproductive” move by Churchill, according to The Independent. “IRA violence only increased,” he said. Churchill was also known for his strong anti-union sentiment. In 1910, he ordered the Army to intervene when striking miners staged riots in Wales, and again the next year in Liverpool – where soldiers fired their weapons, killing two people. Nine years later he deployed 10,000 troops to Glasgow amid strike-related unrest. Churchill also exhibited a strong hatred for Mahatma Gandhi and his campaign of peaceful resistance, which he saw as threat to the British Empire. He once raged that Gandhi “ought to be lain bound hand and foot at the gates of Delhi, and then trampled on by an enormous elephant with the new Viceroy seated on its back”. LD : “I hate Indians,” Churchill remarked on one occasion. “They are a beastly people with a beastly religion.” I’m sure the Vedic sages who gave us the Upanishads and the Bhagavad-Gita would be amused to hear that. Conspiracy theorists sometimes like to assert that Churchill was a Jew because everything he did served Jewish interests. They say the same about Hitler, Stalin, and Angela Merkel. They provide weird genealogical details, giving elaborate family trees, “proving” that Frau Merkel is Hitler’s illegitimate daughter. All this, I think, must be taken with a pinch of salt. Stalin was certainly no Jew. Still less was Hitler. If they were, then here we have two Jewish titans inflicting severe wounds on each other, wiping out in the process allegedly six million other Jews. Which is not the way the Jews work. Jews always work together, networking closely, so as to advance the Jewish agenda. This is the secret of their survival. Jews didn’t rise to the top of the totem pole, to the peak of the power pyramid, by tearing each other apart. That’s what the goyim do, united only in their disunity. What would most people think if you told them that the father of England’s greatest hero of all time, Winston Churchill, was Jack the Ripper? — Yes, Jack the Ripper! — They would laugh out loud and roll their eyes in wonder. And yet, there is a sensational article to be found on the internet giving us all the gory details about Churchill’s dad carving up prostitutes in the Whitechapel district of London’s East End in the time of good Queen Victoria! (See “Jack the Ripper” was Winston Churchill’s Father). Even if this were true and if Churchill were the son of the Ripper, iconic serial killer of all time, it’s hard to see how Churchill himself can be held responsible for what his dreadful dad did under the flickering gas lamps of foggy London town in the late 19th century. Without Churchill behind them, the Jews would have found it much harder to steal Palestine from the Arabs. Churchill’s rhetoric played right into Jewish hands. In 1920 he declared: “If, as may well happen, there should be created in our own lifetime by the banks of the Jordan a Jewish State under the protection of the British Crown, which might comprise three or four millions of Jews, an event will have occurred in the history of the world which would from every point of view be beneficial”. Churchill thought the Arab population of Palestine was a “lower manifestation” and argued that the “dog in a manger has no final right to the manger”. Meaning that the Arabs had no automatic right to Palestine just because Palestine had been their ancestral home for centuries. Not if a superior race like the Jews managed to occupy their homelands and turf them out. In England, where Churchill lived, the land belonged by law to the landowners; in the Middle East, where the Arabs lived, the land belonged by force of arms to the land grabbers. Machiavelli would have chortled at this Churchillian logic. For his services to Zionism, Churchill was to have a statue erected in Jerusalem in 2012 as a thank you gift. Churchill, like Machiavelli before him, was all for the doctrine of Might is Right, the ius gladii (“law of the sword”) of the Ancient Romans. If you could steal something, it was yours if you managed to keep it. “Finders, keepers,” to quote the slogan all schoolboys love to chant as they nick each other’s possessions. Many Jews who arrived in Palestine in 1948, penniless, walked straight into sumptuous Arab houses and took them over, including the furniture, cutlery, crockery, bed linen, and the paintings on the walls. No great wrong, Churchill believed, had “been done to the Red Indians of America or the black people of Australia” by the anglo-Saxon settlers who felt like parking their wagons on someone else’s parking space. “I do not admit that a wrong has been done to these people,” Churchill opined, “by the fact that a stronger race, a higher-grade race, a more worldly wise race, has come in and taken their place”. We now know that Churchill was a chronic alcoholic, spendaholic and gambler who ran up enormous debts and faced bankruptcy and ruin on multiple occasions. He would spend £40,000 a year in French casinos. A wine bill once landed on his doorstep demanding £54,000, including £16,000 just for Champagne. In 1940, when he rose to become Prime Minister of Britain, he received a mysterious “gift” of £1million from a secret benefactor called Sir Henry Strakosch, a naturalised Briton born in Austria who had made his money in the South African mines. An article in the Daily Mail, which reveals all these sensational details about Churchill, curiously forgets to mention the all-important fact that Churchill’s rescuer from ruin was a Jew — an Austrian Jew who had managed to pick up a knighthood from the British government. (For full details of Churchill’s obsessive-compulsive gambling, spendaholic and alcoholic habits, see here). Sir Henry Strakosch’s unflagging generosity to Churchill in bailing him out and paying his extravagant debts — not once but several times — came at a high price. It seems there was a quid pro quo. Sir Henry, the munificent Jewish financier, would pay off Churchill’s mounting debts if Churchill agreed to toe the Jewish line and did exactly what he was told to do by international Jewry. Sir Henry Strakosch … was an Austrian-born British banker and businessman. His parents were the merchant Edward Strakosch and his wife Mathilde, (née Winters). He was born at Hohenau, Austria, and educated at the Wasa Gymnasium in Vienna and privately in England. He entered banking in the City of London in 1891, then began working for the Anglo-Austrian Bank of South Africa in the 1895. Strakosch became a naturalized British citizen in 1907. Strakosch was knighted in 1921 … He was chairman of The Economist between 1929 and 1943. Strakosch being a Jew and his involvement in the payment of the private debts of Sir Winston Churchill, in 1938, has been cited as evidence of Jewish involvement in British politics in the run up to World War Two. 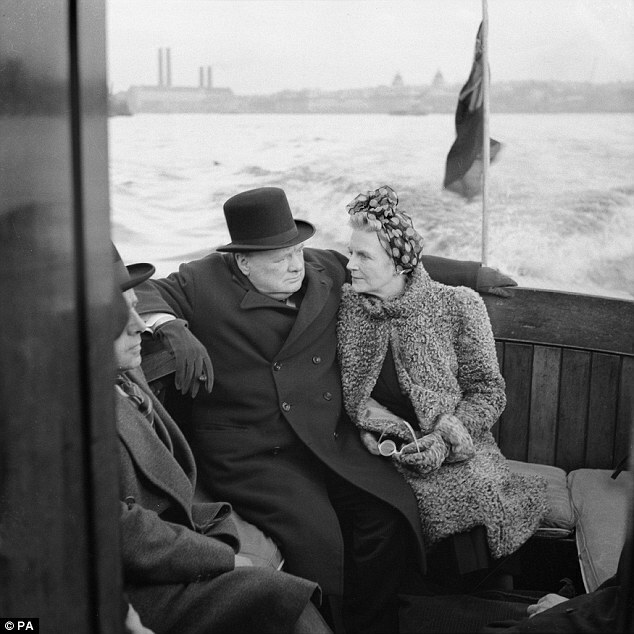 Strakosch had supplied Churchill with figures on German arms expenditure during the latter’s political campaign for rearmament against the Nazi regime, and the financial arrangement enabled Churchill to withdraw his home Chartwell from sale at a time of financial pressures. Here then was a man, Winston Churchill, who was a compulsive gambler whose monetary problems were compounded by his chronic alcoholism. He was to face financial ruin on several occasions. He was repeatedly at his wit’s end, literally tearing his hair out. With the bailiffs banging at his door. 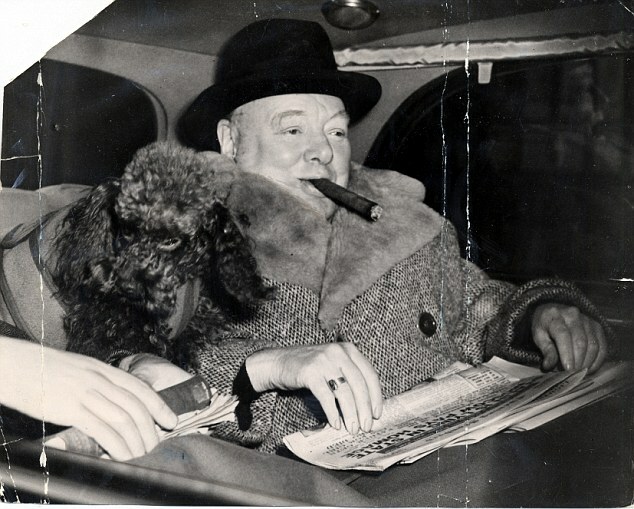 On each occasion, it was a Jewish moneylender who came to Churchill’s rescue. No need to repay the debts! This particular Jewish moneylender didn’t need cash. He was rolling in it. He had enough cash to last him twenty lifetimes. What Sir Henry needed in exchange for his money was political favours. Like, for example, a Jewish state in Palestine for his fellow Jews. From the days of Spartacus-Weishaupt to those of Karl Marx, and down to Trotsky (Russia), Bela Kun (Hungary), Rosa Luxembourg (Germany), and Emma Goldman (United States), this world-wide conspiracy for the overthrow of civilization and for the reconstitution of society on the basis of arrested development, of envious malevolence, and impossible equality, has been steadily growing. It played, as a modern writer, Mrs. Webster, has so ably shown, a definitely recognizable part in the tragedy of the French Revolution. It has been the mainspring of every subversive movement during the Nineteenth Century; and now at last this band of extraordinary personalities from the underworld of the great cities of Europe and America have gripped the Russian people by the hair of their heads and have become practically the undisputed masters of that enormous empire. 1. 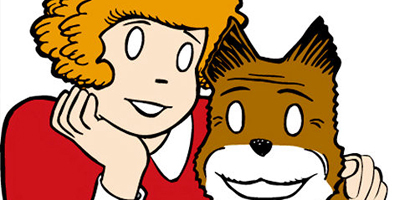 Gilbert, Martin. Winston S. Churchill, Volume IV 1917-1922. Heinemann; London. 1975. pp.176-177. 2. Gilbert, Martin. Winston S. Churchill, Volume IV 1917-1922. Heinemann; London. 1975. p.293. 3. Gilbert, Martin. Winston S. Churchill, Volume IV 1917-1922. Heinemann; London. 1975. p.342. 4. Winston S. Churchill: His Complete Speeches, 1897-1963, Volume III. Chelsea House Publishers, London. 1974. p.2783. And here. 5. Defries, Harry. Conservative Party Attitudes to Jews, 1900-1950. Frank Cass Publishers; Southgate, England. 2001. p.82. 5. Poliakov, Léon. The History of Anti-Semitism: Suicidal Europe, 1870-1933. University of Pennsylvania Press. 2003. p.207. 6. Defries, Harry. Conservative Party Attitudes to Jews, 1900-1950. Frank Cass Publishers; Southgate, England. 2001. p.82. Gilbert, Martin. Winston S. Churchill, Volume IV 1917-1922. Heinemann; London. 1975. pp.760-761. Above is a facsimile of the masthead of the Illustrated Sunday Herald, February 8, 1920, the edition which features the famous Churchill article 'Zionism versus Bolshevism: A Struggle for the Soul of the Jewish People'. Illustrated Sunday Herald, February 8, 1920, page 1 and page 5. "It is, in fact, coming to be understood in the United States and Switzerland, at any rate—and possibly the conviction is growing in England too—that our present civilisation, which is all we have been able to build up through the sufferings, the perils and the splendid achievements of so many centuries, is the object of a deliberate world-wide, profoundly-conceived conspiracy. All over the world, in every country, and in almost every class of society, there exist the members of the formidable Jacobin or Bolshevik sect and confederation. This is the same force as that which perverted the glorious achievements of the French Revolution, and, having rendered unavailing the sacrifices which all classes had made to accomplish the modernisation of France and of Europe, marched through a welter of butchery to the establishment of a military dictatorship. It is this same force which overthrew the Russian Republic three years ago, while the Allies gaped ignorantly at their action, and which robbed the Russian people of the free constitution they had at last won, and the peace and victory which were almost within their grasp. It is the same force that at this moment is striving to overturn the German Republic and deprive that nation of its chance of self-redemption among the States of Christendom." - "The Red Fever: A Way to Deal with Our Bolshevists: Segregate Them!" by Winston Churchill, Illustrated Sunday Herald, January 25, 1920, page 5. Illustrated Sunday Herald, January 25, 1920, page 1 and page 5. The economic background to the war is necessary for a fuller understanding, before casting judgement on the originators of these viewpoints. At the end of the First World War, Germany was essentially tricked [see Paul Johnson "A History of the Modern World" (1983) p24 and H Nicholson Peacemaking 1919 (1933) pp13-16] into paying massive reparations to France and other economic competitors and former belligerent countries in terms of the so-called Treaty of Versailles, thanks to the liberal American President Woodrow Wilson. Germany was declared to be solely responsible for the war, in spite of the fact that "Germany did not plot a European war, did not want one, and made genuine efforts, though too belated, to avert one." (Professor Sydney B Fay The Origins of the World War (vol. 2 p 552)). "It was the Jews with their international affiliations and their hereditary flair for finance who were best able to seize such opportunities. They did so with such effect that, even in November 1938, after five years of anti-Semitic legislation and persecution, they still owned, according to the Times correspondent in Berlin, something like a third of the real property in the Reich. Most of it came into their hands during the inflation. But to those who had lost their all this bewildering transfer seemed a monstrous injustice. After prolonged sufferings they had now been deprived of their last possessions. They saw them pass into the hands of strangers, many of whom had not shared their sacrifices and who cared little or nothing for their national standards and traditions. The Jews obtained a wonderful ascendancy in politics, business and the learned professions (in spite of constituting) less than one percent of the population. The banks, including the Reichsbank and the big private banks, were practically controlled by them. So were the publishing trade, the cinema, the theatres and a large part of the press all the normal means, in fact, by which public opinion in a civilized country is formed. The largest newspaper combine in the country with a daily circulation of four millions was a Jewish monopoly. Every year it became harder and harder for a gentile to gain or keep a foothold in any privileged occupation. At this time it was not the 'Aryans' who exercised racial discrimination. It was a discrimination that operated without violence. It was exercised by a minority against a majority. There was no persecution, only elimination. It was the contrast between the wealth enjoyed and lavishly displayed by aliens of cosmopolitan tastes, and the poverty and misery of native Germans, that has made anti-Semitism so dangerous and ugly a force in the new Europe. Beggars on horseback are seldom popular, least of all with those whom they have just thrown out of the saddle." Goodness gracious, Sir Arthur! What made you get out of the wrong side of the bed? Strangely enough, a book unexpectedly published by Princeton University Press in 1984, Sarah Gordon (Hitler, Germans and the "Jewish Question") essentially confirms what Bryant says. According to her, "Jews were never a large percentage of the total German population; at no time did they exceed 1% of the population during the years 1871-1933." But she adds "Jews were over-represented in business, commerce, and public and private service. They were especially visible in private banking in Berlin, which in 1923 had 150 private Jewish banks, as opposed to only 11 private non-Jewish banks. They owned 41% of iron and scrap iron firms and 57% of other metal businesses. Jews were very active in the stock market, particularly in Berlin, where in 1928 they comprised 80% of the leading members of the stock exchange. By 1933, when the Nazis began eliminating Jews from prominent positions, 85% of the brokers on the Berlin Stock exchange were dismissed because of their 'race'. At least a quarter of full professors and instructors (at German universities) had Jewish origins. In 1905-6 Jewish students comprised 25% of the law and medical students. In 1931, 50% of the 234 theatre directors in Germany were Jewish, and in Berlin the number was 80%. In 1929 it was estimated that the per capita income of Jews in Berlin was twice that of other Berlin residents." etc etc. Arthur Koestler confirms the Jewish over-involvement in German publishing. "Ullstein's was a kind of super-trust; the largest organization of its kind in Europe, and probably In the world. They published four daily papers in Berlin alone, among these the venerable Vossische Zeitung, founded in the eighteenth century, and the B.Z. am Mittag, an evening paper. Apart from these, Ullstein's published more than a dozen weekly and monthly periodicals, ran their own news service, their own travel agency, etc., and were one of the leading book publishers. The firm was owned by the brothers Ullstein - they were five, like the original Rothschild brothers, and like them also, they were Jews." (The God that Failed (1950) ed. RHS Crossman, p 31). Edgar Mowrer, Berlin correspondent for the Chicago Daily News, wrote an anti-German tract called 'Germany Puts the Clock Back' (published as a Penguin Special and reprinted five times between December 1937 and April 1938). He nevertheless notes "In the all-important administration of Prussia, any number of strategic positions came into the hands of Hebrews. A telephone conversation between three Jews in Ministerial offices could result in the suspension of any periodical or newspaper in the state. The Jews came in Germany to play in politics and administration that same considerable part that they had previously won by open competition in business, trade, banking, the Press, the arts, the sciences and the intellectual and cultural life of the country. And thereby the impression was strengthened that Germany, a country with a mission of its own, had fallen into the hands of foreigners." Mowrer says "No one who lived through the period from 1919 to 1926 is likely to forget the sexual promiscuity that prevailed. Throughout a town like Berlin, hotels and pensions made vast fortunes by letting rooms by the hour or day to baggageless, unregistered guests. Hundreds of cabarets, pleasure resorts and the like served for purposes of getting acquainted and acquiring the proper mood." (pp. 153-4). Bryant describes throngs of child prostitutes outside the doors of the great Berlin hotels and restaurants. He adds "Most of them (the night clubs and vice-resorts) were owned and managed by Jews. And it was the Jews among the promoters of this trade who were remembered in after years." (pp. 144-5). Douglas Reed, Chief Central European correspondent before WWII for the London Times, was profoundly anti-German and anti-Hitler. But nevertheless he reported: "I watched the Brown Shirts going from shop to shop with paint pots and daubing on the window panes the word 'Jew', in dripping red letters. The Kurfürstendamm was to me a revelation. I knew that Jews were prominent in business life, but I did not know that they almost monopolized important branches of it. Germany had one Jew to one hundred gentiles, said the statistics; but the fashionable Kurfürstendamm, according to the dripping red legends, had about one gentile shop to ninety-nine Jewish ones." (Reed Insanity Fair (1938) p. 152-3). In Reed's book Disgrace Abounding of the following year he notes "In the Berlin (of pre-Hitler years) most of the theatres were Jewish-owned or Jewish-leased, most of the leading film and stage actors were Jews, the plays performed were often by German, Austrian or Hungarian Jews and were staged by Jewish film producers, applauded by Jewish dramatic critics in Jewish newspapers. The Jews are not cleverer than the Gentiles, if by clever you mean good at their jobs. They ruthlessly exploit the common feeling of Jews, first to get a foothold in a particular trade or calling, then to squeeze the non-Jews out of it. It is not true that Jews are better journalists than Gentiles. They held all the posts on those Berlin papers because the proprietors and editors were Jewish" (pp238-9). The Jewish writer Edwin Black notes "For example, in Berlin alone, about 75% of the attorneys and nearly as many of the doctors were Jewish." (Black, The Transfer Agreement (1984) p58. To cap it all, Jews were perceived as dangerous enemies of Germany after Samuel Untermeyer, the leader of the World Jewish Economic Federation, declared war on Germany on August 6 1933. (Edwin Black The Transfer Agreement: the Untold Story of the Secret Pact between the Third Reich and Palestine (1984) pp272-277) According to Black, "The one man who most embodied the potential death blow to Germany was Samuel Untermeyer." (p 369). This was the culmination of a worldwide boycott of German goods led by international Jewish organizations. The London Daily Express on March 24, 1933 carried the headline "Judea Declares War on Germany". The boycott was particularly motivated by the German imposition of the Nuremberg Laws, which ironically were similar in intent and content to the Jewish cultural exclusivism practiced so visibly in present-day Israel (Hannah Arendt Eichmann in Jerusalem p 7). "It must be added that most of the leading revolutionaries who convulsed Europe in the final decades of the last century and the first decades of this one, stemmed from prosperous Jewish families. They were perhaps typified by the father of revolution, Karl Marx. Thus when, after the chaos of World War I, revolutions broke out all over Europe, Jews were everywhere at the helm; Trotsky, Sverdlov, Kamenev and Zinoviev in Russia, Bela Kun in Hungary, Kurt Eisner in Bavaria, and, most improbable of all, Rosa Luxemburg in Berlin . "There has been a tendency to circumvent or simply ignore the significant role of Jewish intellectuals in the German Communist Party, and thereby seriously neglect one of the genuine and objective reasons for increased anti-Semitism during and after World War 1. The prominence of Jews in the revolution and early Weimar Republic is indisputable, and this was a very serious contributing cause for increased anti-Semitism in post-war years. It is clear then that the stereotype of Jews as socialists and communists. led many Germans to distrust the Jewish minority as a whole and to brand Jews as enemies of the German nation." (Sarah Gordon, "Hitler, Germans and the Jewish Question", Princeton University Press (1984) p 23). "The second paroxysm of strong anti-Semitism came after the critical role of Jews in International Communism and the Russian Revolution and during the economic crises of the 1920s and 30s. Anti-Semitism intensified throughout Europe and North America following the perceived and actual centrality of Jews in the Russian Revolution. Such feelings were not restricted to Germany, or to vulgar extremists like the Nazis. All over Northern Europe and North America, anti-Semitism became the norm in 'nice society', and 'nice society' included the universities." (Martin Bernal, Black Athena vol. 1 pp. 367, 387). "The major role Jewish leaders played in the November (Russian) revolution was probably more important than any other factor in confirming (Hitler's) anti-Semitic beliefs." (J&S Pool, Who Financed Hitler, p.164). Although Churchill's harshly anti-Hitler rhetoric is well known, as late as 1937, in his book Great Contemporaries, he was extolling the German leader's "patriotic ardor and love of country." The story of Hitler's struggle, Churchill went on, "cannot be read without admiration for the courage, the perseverance, and the vital force which enabled him to challenge, defy, conciliate, or overcome, all the authorities or resistances which barred his path." [See note] In another publication from that same year Churchill wrote: "One may dislike Hitler's system and yet admire his patriotic achievement. 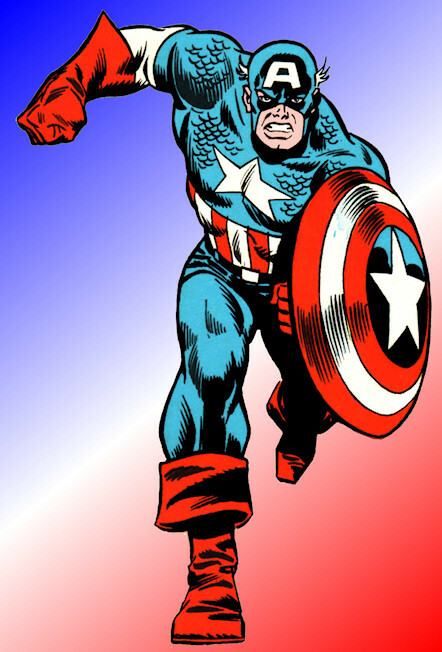 If our country were defeated, I hope we should find a champion as indomitable to restore our courage and lead us back to our place among the nations." In Churchill's first address as prime minister -- the famous "blood, toil, tears, and sweat" speech of May 13, 1940 -- he proclaimed his goal in the war: "You ask, What is our aim? I can answer in one word: It is Victory -- victory at all costs, victory in spite of all terror; victory, however long and hard the road may be." Did those who thrilled to such defiant rhetoric fully grasp what this meant? Were they really willing to support victory "at all costs"? As it turned out, the cost was very high indeed. During the war Churchill made clear his simple aim in the great conflict: "I have only one purpose, the destruction of Hitler, and my life is much simplified thereby. If Hitler invaded Hell I would make at least a favourable reference to the Devil in the House of Commons." [See note] In keeping with that aim, Churchill refused even to consider Hitler's repeated offers of peace, thereby condemning the people of Britain, and Europe, to years of horrific warfare. "Victory at all cost" also meant accepting the Allied "United Nations" principles of egalitarianism and liberal democracy, which laid the groundwork for the dismantling of empire and for a massive influx of former imperial subjects, ushering in drastic changes in every area of life in Britain (and the rest of Europe) in recent decades. 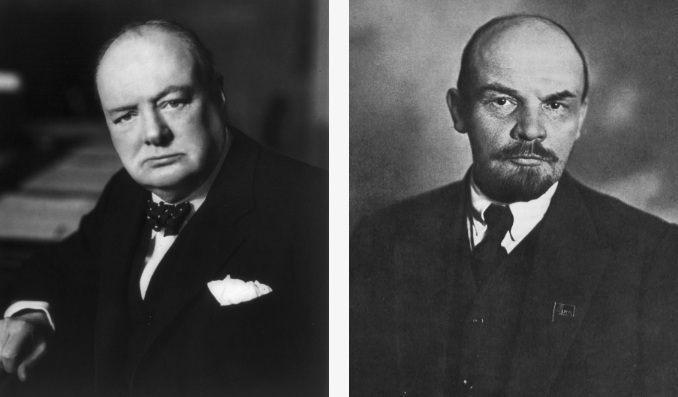 In 1945, at the end of the terrible five-and-a-half-year conflict, Britain did not "win" -- it merely emerged on the victorious side, together with the two great powers that really did "win" the war: Soviet Russia and the United States. ... The accepted view that his [Churchill's] "bulldog breed" stubbornness led Britain through its "finest hour" to a glorious victory is sadly superficial ... In no sense, other than the moral one, can Britain be said to have won. She merely survived. Britain went to war ostensibly to honour an alliance with Poland. Yet the war ended with Poland redesigned at a dictator's whim, albeit Stalin's rather than Hitler's, and occupied, albeit by Russians rather than Germans. In reality Britain went to war to maintain the balance of power. But the European continent in 1945 was dominated by a single overbearing power hostile to everything Britain stood for. Britain, hopelessly in hock to the United States, had neither the power nor the face to hold on to her empire. 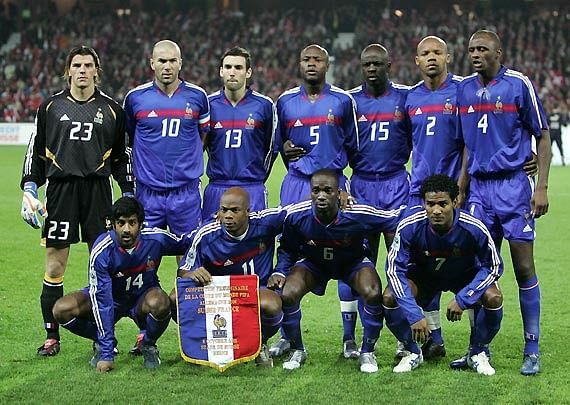 formidable and the most remarkable race which has ever appeared in the world. 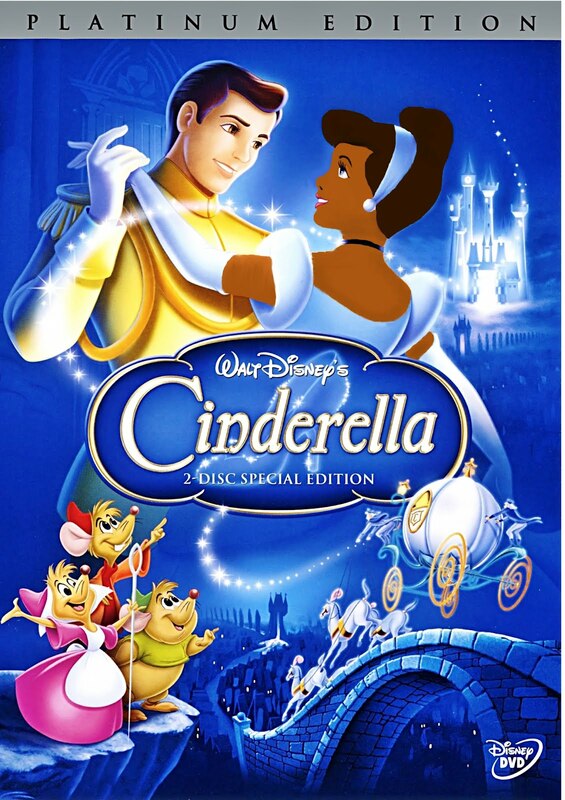 since happened in the history of the world has falsified the truth of Disraeli’s confident assertion. The conflict between good and evil which proceeds unceasingly in the breast of man nowhere reaches such an intensity as in the Jewish race. Roman Empire the whole of our existing civilisation. that this mystic and mysterious race had been chosen for the supreme manifestations, both of the divine and the diabolical. more wrong than to deny to an individual, on account of race or origin, his right to be judged on his personal merits and conduct. very high degree to humanity, and the third absolutely destructive. and, while adhering faithfully to their own religion, regard themselves as citizens in the fullest sense of the State which has received them. part, some rising to the command of armies, others winning the Victoria Cross for valour. friendship with France and Great Britain. reconstitution of society on the basis of arrested development, of envious malevolence, and impossible equality, has been steadily growing. It played, as a modern writer, Mrs. Webster, has so ably shown, a definitely recognisable part in the tragedy of the French Revolution. practically the undisputed masters of that enormous empire. numbers in the population is astonishing. the half-stupefied, half-infuriated population an eager response to anti-Semitism in its worst and foulest forms. such a deep significance for the whole world at the present time. from every point of view, be beneficial, and would be especially in harmony with the truest interests of the British Empire. Jews is little less than a struggle for the soul of the Jewish people. Bolshevik movement is not a Jewish movement, but is repudiated vehemently by the great mass of the Jewish race. glory, a task is presented on which many blessings rest. Political puppets like Winston Churchill generally have a personal buffer between themselves and the really big masters of the New World Order. For example, Woodrow Wilson had Edward Mandell House; and FDR had Henry Morgenthau. and as "Baron Berlin" to his many detractors because of his German accent and haughty aristocratic manner. 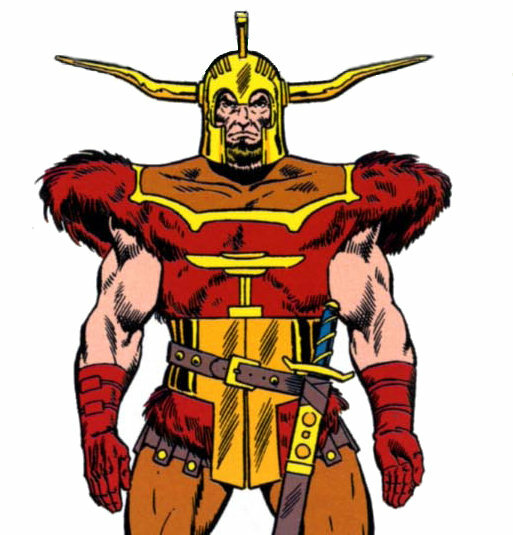 Lindemann believed that a small circle of elites should run the world, resulting in a stable society, "led by supermen and served by helots." be the Jewish Globalist elite. Naturally, before this New World Order could emerge, the 'White Man' would have to first "abdicate"
‘It will be the abdication of the White man.’ Then he nodded his head up and down several times to drive home his proposition." and would remain so for 35 years – with the brilliant and sober Lindemann becoming Churchill's guru. When Churchill became the wartime Prime Minister in 1940, he appointed Lindemann as the British government's leading scientific adviser. “Churchill used to say that the Prof's brain was a beautiful piece of mechanism, and the Prof did not dissent from that judgment. …..
"bombing must be directed to working class houses -- because -- middle class houses have too much space round them, so are bound to waste bombs"
led to the horrible deaths of as many as 1.5 million German civilians. been and continue to remain "behind the scenes." Berlin and Dresden fire-bombing Holocausts of innocent Germans --- all part of the "abdication" of "The White Man" to his Tribe. Winston the spendaholic: He teetered on the brink of bankruptcy and was saved by secret backhanders. Indeed they were. For the qualities that were to make Churchill a great war leader came very close to destroying him time and again during his career, as manic optimism and risk-taking plunged him repeatedly into colossal debt. In the Thirties, when he was a married man with four dependent children and already borrowing more than £2.5 million in today’s money, he would gamble so heavily on his annual holiday in the South of France that he threw away the equivalent of on average £40,000 every year. In my own career, advising families on tax affairs and investments, I have never encountered addiction to risk on such a scale as his. To a biographer, one of Churchill’s most convenient characteristics is that he left his own bank statements, bills, investment records and tax demands in his archive, despite the evidence of debt and profligate gambling they reveal. In contrast to his well-documented periods of anxiety and depression, when the ‘black dog’ struck him, there were phases when he gambled or traded shares and currencies with such intensity that he appeared to be on a ‘high’ — devoid of inhibition, brimming with self-confidence and energy. As a result, he left behind a trail of financial failures that required numerous bailouts by friends, family and admirers. And it was only by a wildly improbable intervention, almost an act of God, that he wasn’t bankrupt in 1940 instead of Prime Minister: as war loomed, a secret benefactor wrote two cheques for well over £1 million to clear Churchill’s debts. His inventive efforts at tax avoidance would spell scandal if attempted by any politician today. Though he wrestled to control his spending all his life, the defining disaster of Winston’s financial career was the Wall Street Crash of 1929. Churchill always told his friends his losses in the Stock Market collapse amounted to $50,000 — or £500,000 today. But that is only part of the story. These were Winston’s years in the wilderness when, having served for a term as Chancellor of the Exchequer, he was suddenly out of power. This was not without its benefits, for at last he was able to devote time to writing books and churning out newspaper columns to keep the bank at bay. In return for his high fees as a journalist, Churchill’s friends among the press proprietors expected colourful copy that ran against the conventional political wisdom. He delivered it, but his trenchant commentaries made rehabilitation within the political establishment very difficult. The problems began when he embarked on a North American tour to promote his book on World War I, The World Crisis, accompanied by his brother Jack and son Randolph. Surrounded by these modern marvels, Churchill began to trade again in shares and commodities. He was intoxicated by Canada’s money-making opportunities, especially in exploration for oil and gas. Gripped by investment fever as he reached the prairies, he wired his publisher to demand an advance on his royalties, boasting of the profits he could grasp if he acted without delay. To allay Clemmie’s concerns, he told her of the cash he was making by selling his book at public appearances — 600 copies in Montreal alone — and casually announced he had ‘found a little capital’ with which he ‘hoped to make some successful investments’. He plunged tens of thousands of dollars into oilfields and rolling stock, assuring his bankers that, ‘I do not expect to hold these shares for more than a few weeks’. In the States, he stayed with media tycoon William Randolph Hearst and bought stakes in electrical ventures and gas companies, before heading to California where he indulged in late-night parties with Hollywood’s movie elite and toured the studios. 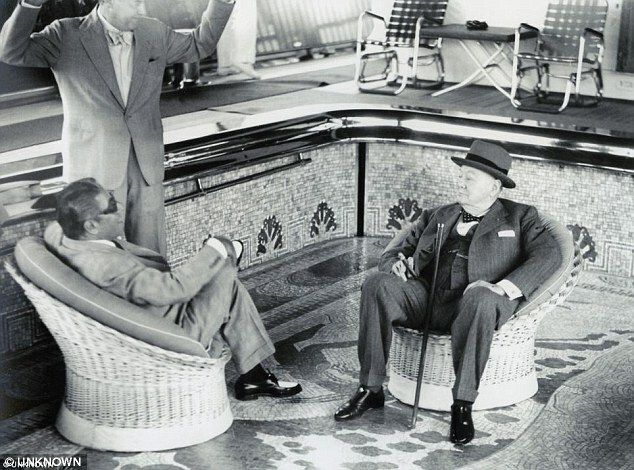 After lunch with Charlie Chaplin on the set of his latest film, City Lights, Churchill boarded Hearst’s yacht and wrote to Clemmie that he had banked £1,000 (£50,000 today) by cashing in some shares in a furniture business called Simmons. ‘You can’t go wrong on a Simmons mattress,’ he crowed — but failed to mention that he had $35,000 (a third of a million pounds today) still invested with them. His buying had spiralled out of control. Everything he could raise was plunged into U.S. stocks, in businesses from foundries to department stores. Churchill ignored them. In four days he bought and sold $420,000 in shares — or more than £4 million-worth now. The crash was inevitable. At the opening bell in the New York Stock Exchange on Thursday, October 24, 1929, prices fell by an average of 11 per cent. He wrestled to control his spending all his life, the defining disaster of Winston’s financial career was the Wall Street Crash of 1929. Churchill told his friends his losses in the Stock Market collapse amounted to $50,000 — or £500,000 today. But that is only part of the story. 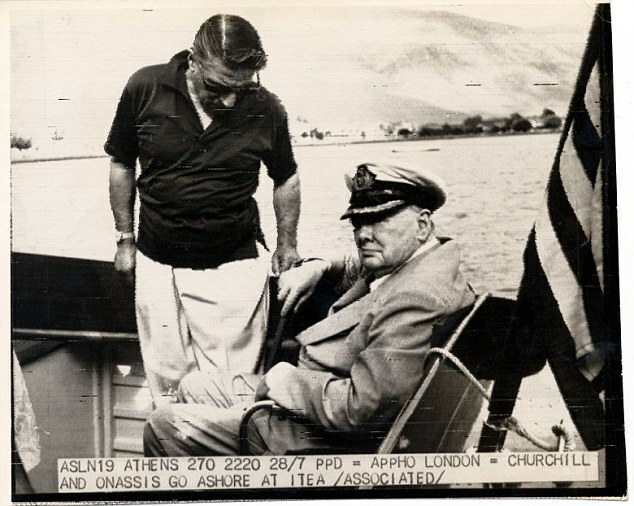 Pictured in 1958 with hipping magnate Aristotle Onassis. Churchill kept buying, confident of recouping his losses, right up to the moment he boarded an Atlantic liner to return home. By the time he reached Chartwell, his home in Kent, he was poorer by $75,000 (£750,000). But instead of pulling in his horns, he tried to recoup — and within six months had lost another $35,000 (£350,000). His efforts to cling to some kind of solvency became desperate. He borrowed money wherever he could — from his brother, his bank, his brokers, his publishers and newspaper editors. He arranged another speaking tour in America and took out insurance against its cancellation — then used the General Election of 1931 as an excuse for postponing and claiming his £5,000 (£250,000) indemnity. He traded the insurers one of his oil paintings, in a deal he described as ‘highly confidential’. Once the election was behind him, he set off to America — but, in his fraught state, stumbled into disaster. Having arranged to meet a business associate in New York, he grabbed a taxi. But in his hurry, he forgot to take the man’s address. After a fruitless hour trying to find the building, he climbed out of the cab — and was hit by a car. These were Winston’s years in the wilderness when, having served for a term as Chancellor of the Exchequer, he was suddenly out of power. This was not without its benefits, for at last he was able to devote time to writing books and churning out newspaper columns to keep the bank at bay. Even this was used as a means to scrape money together. He wrote a newspaper article about the accident, syndicated it worldwide for £600 (£30,000) and then claimed medical insurance on the spurious grounds he was ‘totally disabled’. When the underwriters protested that he was still able to earn money from journalism, his broker retorted that he could not physically write — the article had been dictated to a secretary. Mere talking, he insisted, should not be classed as work. The insurers paid up. Such sharp practice was not confined to his insurance claims. He told the Inland Revenue he had retired as an author, which entitled him to defer a large income tax bill. To avoid paying tax on book royalties, he sold the rights and successfully argued that the money he received was not income but capital gains, which at the time was exempt from tax. He borrowed money from his children’s trusts, and even cut down his drinking — not to curb his expenses, but to win a bet with the press baron Lord Rothermere, who wagered him £600 that Churchill would not drink any brandy or undiluted spirits for a whole year. Churchill took the bet, reasoning to Clemmie that money won gambling was not subject to tax. But he turned down a bigger bet, £2,000 [£100,000], that he could not remain teetotal for 12 months. In fact, his accumulated bills for alcohol came to £900 (£54,000). His gambling was even more costly — 66,000 francs (about £50,000) in a single holiday at a casino in Cannes in 1936, for example. Clementine’s excesses were little better. That year, her bill at Harrods ran to more than 80 pages, with accounts, too, at Selfridge’s, Harvey Nichols, Peter Jones, Lillywhite’s and John Lewis. Faced with a £900 [£54,000 today] demand from his wine merchants Randolph Payne & Sons in 1936, Churchill checked the bill and found the total came to even more — £920. Attempts at economising were feeble. Three servants were dismissed, with a saving of £240 [£14,400] and the same amount was cut from the laundry bill. The temperature of the swimming pool at Chartwell was also reduced in a bid to halve heating costs. But by 1938, as the European situation with Hitler and Mussolini became critical, Churchill had run out of resources. Both Chartwell and his house in London were up for sale but had attracted no buyers. Faced with a £900 [£54,000 today] demand from his wine merchants Randolph Payne & Sons in 1936, Churchill checked the bill and found the total came to even more — £920 [£55,200], including £268 [£16,080] spent on champagne: ten magnums, 185 bottles and 251 pints of it.n At the outbreak of World War I, Churchill was smoking a dozen cigars a day, at about £13 a month [£1,300] — and he had not paid his suppliers, J Grunebaum & Sons, for five years. Swimming in personal debt (about £1.5m today), Churchill announced some drastic household cutbacks in 1926, the year of the General Strike. The cost of food, servants and running a car were to be halved. ‘No champagne is to be bought,’ he warned his wife. ‘Only white or red wine will be offered at luncheon or dinner. No more port is to be opened without special instructions. Cigars must be reduced to four a day.’ The economy drive lasted less than three months. 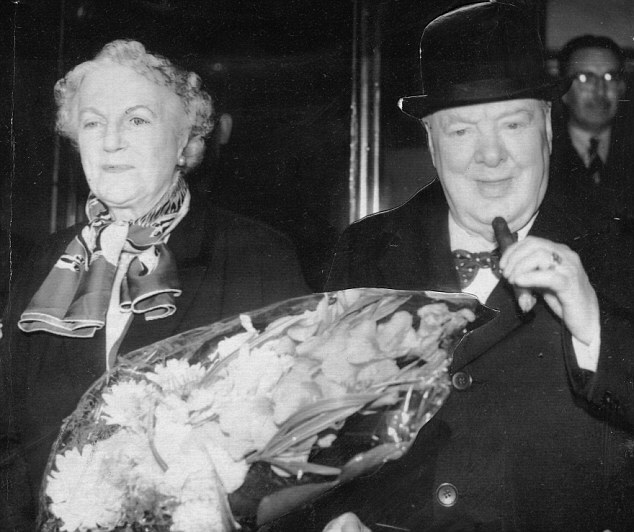 On his way home from a Mediterranean cruise in 1927, Churchill — then Chancellor of the Exchequer — dropped in on the casino at Dieppe and, playing baccarat, lost £350 — the equivalent of £17,500 today. 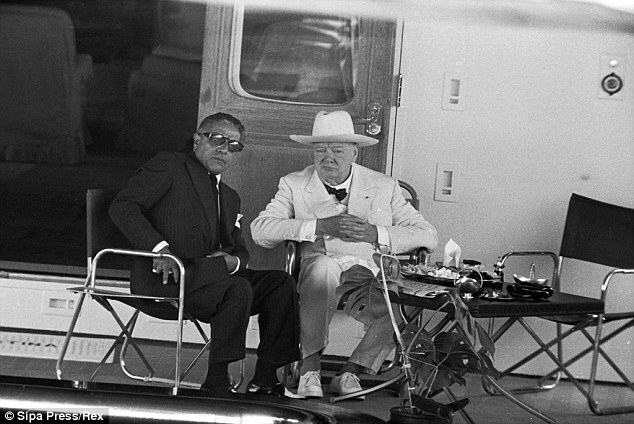 Winston holidayed in the South of France 12 times during the Thirties and always gambled at the casinos. He came home a winner only once. During World War II, his personal spending on wine, spirits and cigars was £1,650 a year [£66,000]. In a two-month spell in 1949, Churchill and his house guests at Chartwell drank 454 bottles of champagne, 311 bottles of wine, 69 bottles of port, 58 bottles of brandy, 58 bottles of sherry and 56 bottles of Black Label whisky. His journalism could no longer even cover his back-taxes, and he had borrowed to the limit against his life insurance policies. Creditors were clamouring on all sides. His overdraft had reached £35,000 (more than £2million) and his brokers were demanding an immediate payment of £12,000 (£720,000). His attempts to bargain were ignored. Salvation came from an unexpected quarter. 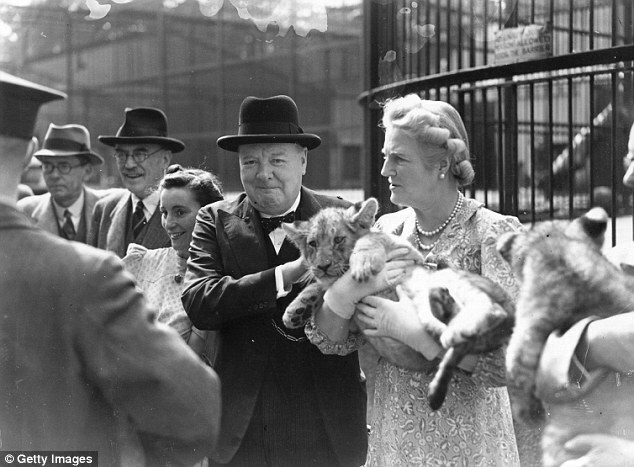 Churchill turned to his friend Brendan Bracken, co-owner of The Economist, to find him a rescuer. Bracken, in turn, approached his business partner, Sir Henry Strakosch, who was a fervent admirer of Churchill. He was also immensely wealthy. 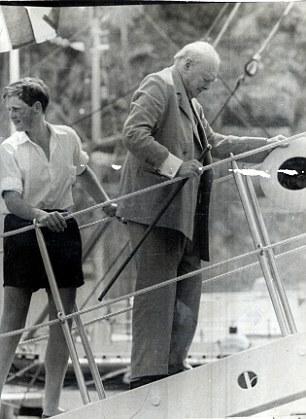 Two months earlier, at Bracken’s request, Churchill had visited Sir Henry at his house in Cannes. The 68-year-old, who had made his fortune at the helm of South Africa’s gold-mining Union Corporation, had been unwell and Bracken described him as a ‘lonely old bird’. 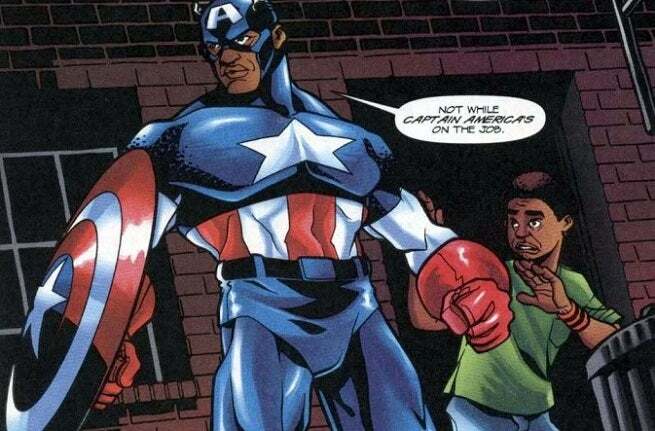 This slightest of introductions paid colossal dividends. Sir Henry, a naturalised Briton born in Austria, regarded Churchill as the one politician in Europe with the vision, energy and courage to resist the Nazi threat. He had no hesitation in paying off £12,000 (about £660,000 today) of his share-trading debts. Neither man ever spoke publicly about the rescue. Churchill kept knowledge of it to a very tight circle that did not include his bank or his lawyers. Sir Henry’s only reward was to be nominated for The Other Club, the dining society based at the Savoy in London that Churchill had founded with his fellow political maverick F. E. Smith. At the outbreak of war in 1939, Churchill was appointed First Lord of the Admirality, with a salary of £5,000 (£250,000 today) — exactly what it was when he was last given this Cabinet post, 25 years earlier in 1912. The pay, though substantial, was nowhere near enough to cover his expenditure, let alone the interest on his outstanding loans, which totalled £27,000 [£1.6 million]. For years he had been working on his three-volume History Of The English-Speaking Peoples, but despite his prodigious output, he had been unable to deliver the finished manuscript and collect his fee. The book had got no further than the American Civil War, but undaunted, Churchill declared it to be finished. Swimming in personal debt (about £1.5m today), Churchill announced some drastic household cutbacks in 1926, the year of the General Strike. The cost of food, servants and running a car were to be halved. ‘No champagne is to be bought,’ he warned his wife. ‘Only white or red wine will be offered at luncheon or dinner. His publisher, Cassell’s, was dismayed at such an abrupt ending. All protests were dismissed: Churchill was too busy to write any more. Reluctantly, Cassell’s paid up, which enabled him to pay £2,000 (£100,000 today) of overdue taxes and settle wine merchants’ bills that topped £3,000 (£150,000). On May 10, 1940, as Hitler’s armies surged through Holland and Belgium, Prime Minister Neville Chamberlain resigned, and by evening King George VI had asked Churchill to form a government. Today, the choice of man seems inevitable, but at the time there was consternation. ‘Seldom can a Prime Minister have taken office with the Establishment so dubious of the choice and so prepared to find its doubts justified,’ wrote one of Downing Street’s private secretaries, Jock Colville. Churchill’s salary as PM might have doubled to £10,000 (£500,000), but with the highest rate of income tax standing at 97.5 per cent, virtually all of it went to the Inland Revenue. Just two weeks after the Dunkirk evacuation, in June 1940, the Prime Minister was facing an ultimatum from Lloyd’s Bank for interest on his £5,602 overdraft (£280,100). Once again, Sir Henry came to the rescue with a cheque for £5,000 (£250,000). The receipts show a flurry of payments to shirt-makers, watch-repairers and, naturally, wine merchants. Despite rationing, food and drink flowed at Chequers, the Prime Minister’s official residence. King George sent pheasant and venison from Balmoral, and the Admiralty agreed to double the wine budget, providing that all consumption was for diplomatic purposes. That condition proved no problem: Churchill was determined to enlist the military might of the United States and American guests became frequent visitors to Chequers. To pare back the tax demands, Churchill tried every possible ruse, even assigning some of his earnings as an author to his son Randolph, who was taxed at a lower rate. This subterfuge could save £1,500 (£75,000) but it made Churchill uneasy — not least because Randolph’s gambling was even more reckless than his own. What finally rescued Churchill’s finances, and put him on a stable footing for the rest of his life, was Hollywood. In 1943, an Italian immigrant film producer paid him £50,000 (£2.5million) for the movie rights to his biography of his ancestor, the military genius Lord Marlborough. The death of Sir Henry Strakosch in October 1943 brought a legacy of £20,000 (£1million) as well as cancelling a loan. As D-Day approached, Churchill was solvent for the first time in 20 years. By the end of the war, he had collected another £50,000 (£2.5million) for the film rights to his History Of The English-Speaking Peoples. And a further colossal bonus came when he was unexpectedly ousted from Downing Street by the voters in July 1945: on the day of his resignation, offers began to flood in from publishers around the world for his war memoirs. Traditionally, generals and admirals who won great victories were rewarded by Parliament. Earl Haig, the Army’s commander-in-chief during World War I, was awarded £100,000 (£500,000) in 1918. There could be no such payment for an ex-Prime Minister. But a group of his admirers came up with a scheme to buy Chartwell for the National Trust, then rent it back to the Churchills for a nominal sum. Churchill was delighted. Despite this unaccustomed security, he was not above seizing a chance to bypass the taxman. As bidding for his memoirs topped $1 million (£12.5million) from an American consortium, Churchill was investigating another scheme: by gifting his entire personal papers, including future memoirs and diaries, to a trust in his children’s name, he figured he could avoid most tax on his writings. He planned to pen his books for a smaller fee, under the pretext of ‘editing’ them. This editing proved to be thirsty work. When Churchill decamped to Marrakech in Morocco to work on the manuscript in 1947, his entourage’s drinks bill for five weeks came to more than £2,100 (£73,500). In a two-month spell in 1949, Churchill and his house guests at Chartwell drank 454 bottles of champagne, 311 bottles of wine, 69 bottles of port, 58 bottles of brandy, 58 bottles of sherry and 56 bottles of whisky. It continued to ‘go’ for the rest of his life. By the time he became PM again in 1951, his annual expenses were about £40,000 (£1 million), much of it on a staff of Swiss nurses and footmen, all of them vetted by MI5. But now the honours flowed in. He won the Nobel Prize for Literature, a tax-free £12,000 (£300,000). He turned down a dukedom on the grounds that a dukedom without a great landed estate would be an embarrassment. When he died aged 90 on January 24, 1965, the world mourned. But some had a particular reason to regret his passing: they would never see such a customer again. In France, Madame Odette Pol-Roger instructed that a black band of mourning should be placed around the label of every bottle of her family’s champagne. Click on this text to listen to Winston Churchill's article on the Jews, Zionism, Bolshevism, Soviet Jewish Control on Youtube. World-class historian David Irving is no stranger to readers of the IHR's Journal of Historical Review. His address to the 1983 International Revisionist Conference, which appeared in the Winter 1984 Journal of Historical Review ("On Contemporary History and Historiography"), was something of a primer on Irving's revisionist historiographical method. It was spiced as well with tantalizing hints of new directions in Irving's research and new book possibilities arising from them. Not the least among Irving's revelations were those that touched on Winston Churchill, descendant of one of England's greatest families and leader of his nation and its empire (as he still thought it) at what many of his countrymen and many abroad still regard as Britain's "finest hour." Readers will recall that Irving exposed several instances of Churchill's venality, cowardice and hypocrisy, including Churchill's poltroonish posturing at the time of the German air raid against Coventry and the facts of Churchill and his cronies' secret subvention by the Czech government. It will also be recalled that in his lecture Irving spoke of his projected book on Winston Churchill, which at the time was to be published in the U.S. by Doubleday and in Great Britain by MacMillan, two great firms entirely worthy of an author who has been churning out meticulously researched historical bestsellers for a quarter of a century. As has been pointed out in recent issues of the IHR Newsletter, Irving's challenges to the reigning orthodoxy have become so unbearable to the Establishment that both these major houses refused to print the books as written. The task has now  been undertaken by a revisionist operation in Australia. Nearing completion is the first volume of Irving's new book Churchill's War. At the outset of his lecture, Irving remarked that the late Harold MacMillan (Lord Stockton), recently targeted by Nikolai Tolstoy (The Minister and the Massacres) for his role in the forcible deportation of tens of thousands of anti-Communist Cossacks, Byelorussians, Ukrainians, and others to the U.S.S.R. after World War lI, had stated that Irving's Churchill book would "not be published by his company, over his dead body." Clearly Lord Stockton's recent demise didn't alter things at MacMillan, however. The details which I will tell you today, you will not find published in the Churchill biography. For example, you won't even find them published in Churchill's own biography because there were powers above him who were so powerful that they were able to prevent him publishing details that even he wanted to publish that he found dirty and unscrupulous about the origins of the Second World War. For example, when I was writing my Churchill biography, I came across a lot of private papers in the files of the Time/Life organization in New York. In Columbia University, there are all the private papers of the chief editor of Time/Life, a man called Daniel Longwell. And in there, in those papers, we find all the papers relating to the original publication of the Churchill memoirs in 1947, 1949, the great six-volume set of Churchill memoirs of the Second World War. And I found there a letter from the pre-war German chancellor, the man who preceded Hitler, Dr. Heinrich Brüning, a letter he wrote to Churchill in August 1937. The sequence of events was this: Dr. Brüning became the chancellor and then Hitler succeeded him after a small indistinguishable move by another man. In other words, Brüning was the man whom Hitler replaced. And Brüning had the opportunity to see who was backing Hitler. Very interesting, who was financing Hitler during all his years in the wilderness, and Brüning knew. Brüning wrote a letter to Churchill after he had been forced to resign and go into exile in England in August 1937, setting out the names and identities of the people who backed Hitler. And after the war, Churchill requested Brüning for permission to publish this letter in his great world history, The six-volume world history. And Brüning said no. In his letter, Brüning wrote, 'I didn't, and do not even today for understandable reasons, wish to reveal from October 1928, the two largest regular contributors to the Nazi Party were the general managers of two of the largest Berlin banks, both of Jewish faith and one of them the leader of Zionism in Germany." Now there is a letter from Dr. Heinrich Brüning to Churchill in 1949, explaining why he wouldn't give permission to Churchill to publish the August 1937 letter. It was an extraordinary story, out of Churchill's memoirs. Even Churchill wanted to reveal that fact. You begin to sense the difficulties that we have in printing the truth today. Churchill, of course, knew all about lies. He was an expert in lying himself. He put a gloss on it. He would say to his friends, "The truth is such a fragile flower. The truth is so precious, it must be given a bodyguard of lies." This is the way Churchill put it. Irving went on to describe several sources of secret financial support enjoyed by Churchill. In addition to money supplied by the Czech government, Churchill was financed during the "wilderness years" between 1930 and 1939 by a slush fund emanating from a secret pressure group known as the Focus. The Focus was financed by a slush fund set up by some of London's wealthiest businessmen -- principally, businessmen organized by the Board of Jewish Deputies in England, whose chairman was a man called Sir Bernard Waley Cohen. Sir Bernard Waley Cohen held a private dinner party at his apartment on July 29, 1936. This is in Waley Cohen's memoirs ... The 29th of July, 1936, Waley Cohen set up a slush fund of 50,000 pounds for The Focus, the Churchill pressure group. Now, 50,000 pounds in 1936, multiply that by ten, at least, to get today's figures. By another three or four to multiply that into Canadian dollars. So, 40 times 50,000 pounds -- about $2 million in Canadian terms -- was given by Bernard Waley Cohen to this secret pressure group of Churchill in July 1936. The purpose was -- the tune that Churchill had to play was -- fight Germany. Start warning the world about Germany, about Nazi Germany. Churchill, of course, one of our most brilliant orators, a magnificent writer, did precisely that. For two years, The Focus continued to militate, in fact, right through until 1939. And I managed to find the secret files of The Focus, I know the names of all the members. I know all their secrets. I know how much money they were getting, not just from The Focus, but from other governments. I use the word "other governments" advisedly because one of my sources of information for my Churchill biography is, in fact, the Chaim Weizmann Papers in the State of Israel. Israel has made available to me all Churchill's secret correspondence with Chain Weizmann, all his secret conferences. It is an astonishing thing, but I, despite my reputation, in a kind of negative sense with these people, am given access to files like that, just the same as the Russian Government has given me complete access to all of the Soviet records of Churchill's dealings with Ivan Maisky, Joseph Stalin, Molotov and the rest of them. I am the only historian who has been given access to these Russian records. It is a kind of horse trading method that I use when I want access to these files, because it is in these foreign archives we find the truth about Winston Churchill. When you want the evidence about his tax dodging in 1949 and thereabouts, you are not going to look in his own tax files, you're going to look in the files of those who employed him, like the Time/Life Corporation of America. That's where you look. And when you're looking for evidence about who was putting money up for Churchill when he was in the wilderness and who was funding this secret group of his, The Focus, you're not going to look in his files. Again, you're going to look in the secret files, for example, of the Czech government in Prague, because that is where much of the money was coming from. Irving then revealed further details of Churchill's financing by the Czechs, as well as the facts of Churchill's financial rescue by a wealthy banker of Austro-Jewish origins, Sir Henry Strakosch, who, in Irving's words, emerged "out of the woodwork of the City of London, that great pure international financial institution." When Churchill was bankrupted overnight in the American stock market crash of 1937-1938, it was Strakosch who was instrumental in setting up the central banks of South Africa and India, who bought up all Churchill's debts. When Strakosch died in 1943, the details of his will, published in the London Times, included a bequest of £20,000 to the then Prime Minister, eliminating the entire debt. Irving dealt with Churchill's performance as a wartime leader, first as Britain's First Lord of the Admiralty and then as Prime Minister. The British historian adverted to Churchill's "great military defeat in Norway, which he himself engineered and pioneered," and mentioned the suspicion of Captain Ralph Edwards, who was on Churchill's staff at the time, that Churchill had deliberately caused the fiasco to bring down Neville Chamberlain and replace him as prime minister, which subsequently happened. In May 1940, Dunkirk, the biggest Churchill defeat of the lot. It wasn't a victory. It wasn't a triumph. Nothing for the British to be proud of. Dunkirk? If you look at the Dunkirk files in the British archives now, you will find, too, you're given only photocopies of the premier files on Dunkirk with mysterious blank pages inserted. And you think, at first, how nice of them to put these blank pages in to keep the documents apart. Not so. The blank pages are the ones that you really want to be seeing. In some cases, of course, the blank pages are genuinely censored with intelligence matters. But the other blank pages are letters between Churchill and the French Prime Minister, Paul Reynaud, which revealed the ugly truth that Churchill, himself, gave the secret order to Lord Gort, the British General in command of the British expeditionary force at Dunkirk, "Withdraw, fall back," or as Churchill put it, "Advance to the coast." That was Churchill's wording. "And you are forbidden to tell any of your neighboring allies that you are pulling out. 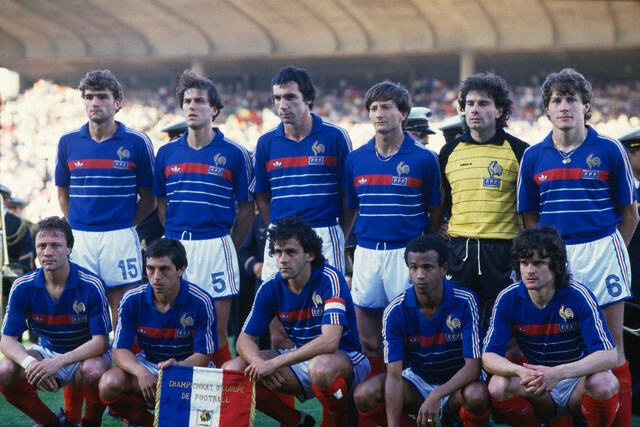 The French and the Belgians were left in the dark that we were pulling out. I think it's the most despicable action that any British commander could have been ordered to carry out, to pull out and not tell either his allies on his left and right flanks that he was pulling out at Dunkirk. The reason I knew this is because, although the blanks are in the British files, I got permission from the French Prime Minister Paul Reynaud's widow. His widow is still alive. A dear old lady about 95, living in Paris. And guiding her trembling hand, I managed to get her to sign a document releasing to me all the Prime Minister's files in the French National Archives in Paris. And there are documents, the originals of the documents which we're not allowed to see in London. and there we know the ugly truth about that other great Churchill triumph, the retreat to Dunkirk. If peace had broken out in June of 1940, Churchill would have been finished. No brass statue in Parliament Square for Mr. Winston Churchill. He would have been consigned to the dustbin of oblivion, forgotten for all time and good riddance I say, because the British Empire would have been preserved. We would, by now, have been the most powerful race -- can we dare use the word, the British race, the most powerful race on Earth. The crucial moment when he managed to kill this peace offensive in England was July 1940. If we look at the one date, July the 20th, this I think was something of a watershed between the old era of peace, the greatness of the British Empire and the new era, the new era of nuclear deterrent and the holocaust, the nuclear holocaust. July 20, 1940: Mr. Churchill is lying in bed that Sunday out in Chequers, when he gets a strange message. It's an intercept of a German ambassador's telegram in Washington to Berlin. It's only just been revealed, of course, that we were reading all of the German codes -- not only the German Army, Air Force and Navy Codes, but also the German embassy codes. And if you're silly enough to believe everything that's written in the official history of British Intelligence, you will understand that the only reason that they released half of the stories is to prevent us from trying to find out the other half. And what matters is that we are reading the German diplomatic codes as well. On July 20th, the German ambassador in Washington sent a message to Berlin saying that the British ambassador in Washington had asked him very quietly, very confidentially, just what the German peace terms were. This, of course, was the one thing that Churchill could never allow to happen, that the British find out what Hitler's peace terms are. He sends an immediate message to the foreign office, to Lord Halifax, saying, "Your ambassador in Washington is strictly forbidden to have any further contacts with the German ambassador, even indirectly." They were communicating through a Quaker intermediary. Now, on the same day, Churchill sent a telegram to Washington ordering Lord Lothian, the British ambassador in Washington, to have nothing to do with the German ambassador. And the same day, he takes a third move to ensure that the peace moves in Britain are finally strangled at birth. He orders Sir Charles Portal to visit him at Chequers, the country residence of British prime ministers. Sir Charles Portal was Commander in Chief of Bomber Command. Now what is the significance? Well, the significance is this. Up to July 1940, not one single German bomb has fallen on British towns. Hitler had given orders that no British towns are to be bombed and, above all, bombing of London is completely forbidden and embargoed. Churchill knows this, because he's reading the German code. He's reading the German Air Force signals, which I can now read in the German files. Churchill is reading the signals, and he knows that Hitler is not doing him the favor. Hitler is still hoping that this madman in England will see reason or that he will be outvoted by his cabinet colleagues. So he's not doing Churchill the favor of bombing any English towns. Churchill is frantic because he thinks he's being outsmarted by Hitler. On July the 20th he sends for Sir Charles Portal, the Chief of Bomber Command, and he says to Sir Charles Portal, as we know from records from Command to the Air Ministry, "When is the earliest that you could launch a vicious air attack on Berlin?" Sir Charles Portal replies to Winston, "I'm afraid we can't do it now, not until September because the nights aren't long enough to fly from England to Berlin and back in the hours of darkness. September, perhaps, and in September we will have the first hundred of the new Sterling bombers ..." But he also says, "I warn you, if you do that, the Germans will retaliate. At present they're not bombing English targets, they're not bombing civilian targets at all and you know why. 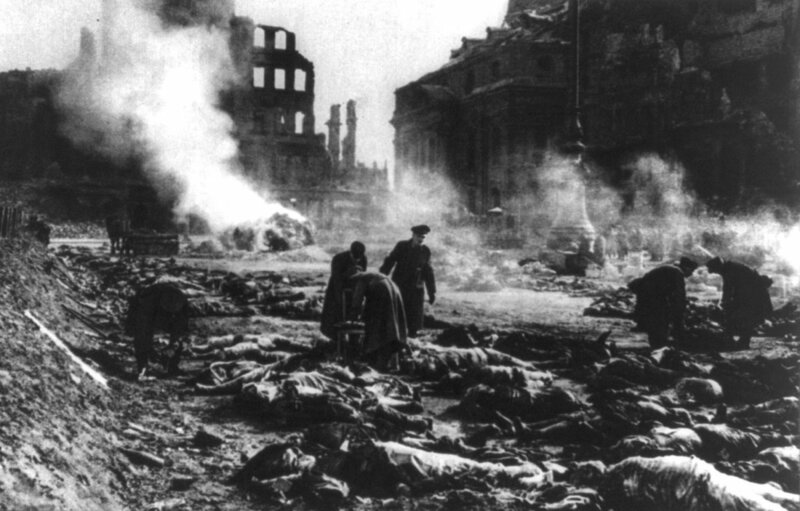 And if you bomb Berlin, then Hitler will retaliate against English civilian targets." And Churchill just twinkles when he gets this reply, because he knows what he wants. We know what he wants because he's told Joe Kennedy, the American Ambassador - Joseph P. Kennedy, father of the late President - "I want the Germans to start bombing London as early as possible because this will bring the Americans into the war when they see the Nazis' frightfulness, and above all it will put an end to this awkward and inconvenient peace movement that's afoot in my own Cabinet and among the British population." I've opened Kennedy's diary. I've also read Kennedy's telegrams back to the State Department in Washington. They're buried among the files. You can't find them easily, but they are worth reading, and you see in detail what Churchill was telling him. What cynicism. Churchill deliberately provoking the bombing of his own capital in order to kill the peace movement. He's been warned this would be the consequence, but he needs it. And still Hitler doesn't do him the favor. The British historian further expanded on a theme he had touched on in his address to the IHR's 1983 conference: Churchill the drunkard. Irving substantiated his accusation with numerous citations from diaries and journals, the originals of which often differ from heavily laundered published editions. He concluded his address with an anecdote of a ludicrous incident which found Churchill pleading with William Lyon Mackenzie King, wartime prime minister of Canada, to shift production in his country's distilleries from raw materials for the war effort to whiskey and gin, twenty-five thousand cases of it. 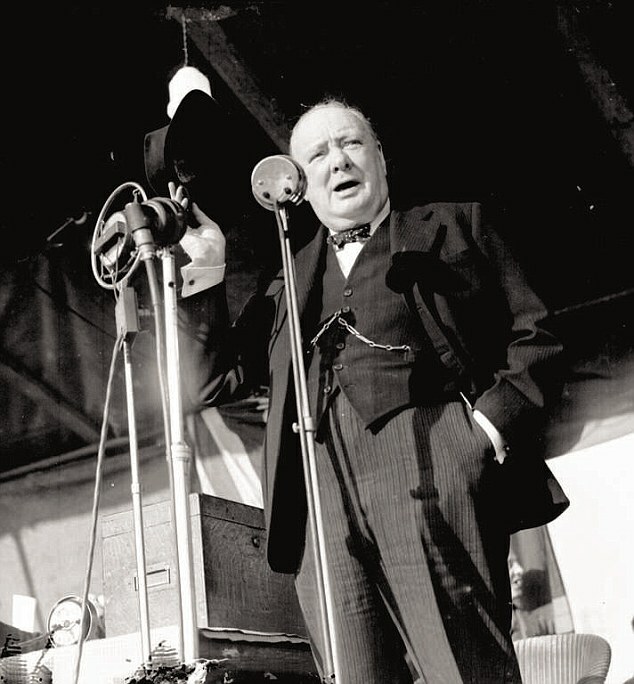 According to Mackenzie King's private diary, the Canadian prime minister tore up Churchill's memorandum on the subject at precisely twenty-five minutes to eight on August 25, 1943, and Sir Winston had to soldier on through the war with liquid sustenance from other lands and climes. 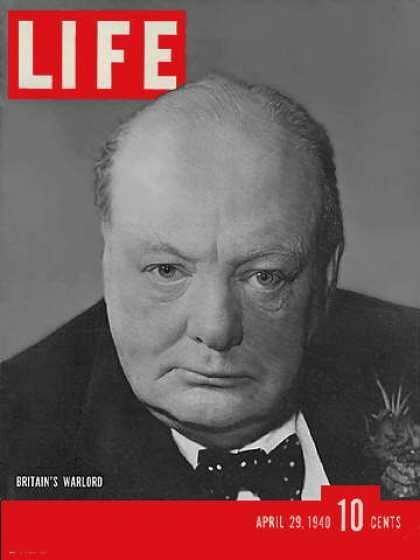 As Irving emphasized, Churchill's drunken rantings, often during cabinet meetings, disgusted many of his generals, as when, at a meeting on July 6, 1944, the prime minister told his commanders to prepare to drop two million lethal anthrax bombs on German cities. Of this meeting Britain's Flrst Sea Lord, Admiral Cunningham, wrote, according the Irving: "There's no doubt that P.M. is in no state to discuss anything, too tired, and too much alcohol." Irving's demolition of the Churchill myth, based on a wealth of documentary evidence, most of which has been studiously avoided by the keepers of the Churchill flame, may constitute his most important service to Revisionism. 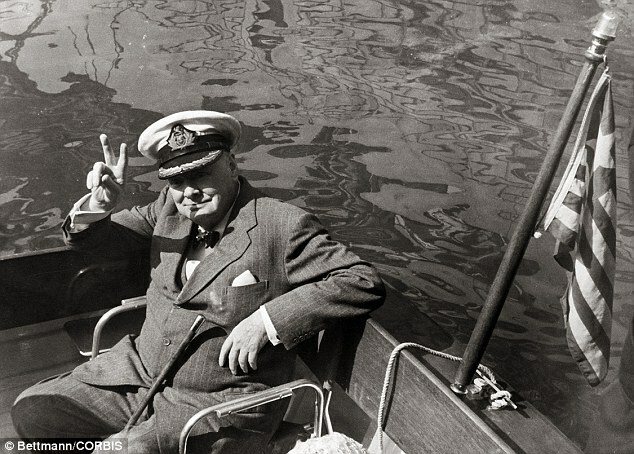 The legendary V-for-victory- waggling, cigar-puffing "Winnie" is for many of a centrist or conservative bent the symbol and guarantee that Britain and America fought and "won" the Second World War for traditional Western values, rather than to bleed Europe white and secure an enormous geopolitical base for Communism. 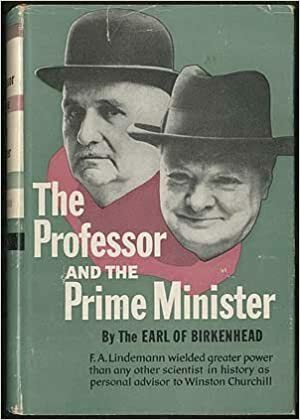 Irving's Churchill biography promises to make trash of such authorized studies as that of Martin Gilbert (which has already been described in private by one Establishment historian as "footnotes to Churchill's war memoirs"). The publication of the first volume of Churchill's War later this year should be an historiographical event of the first importance. Winston Churchill urged the United States to launch a nuclear attack on the Soviet Union to win the Cold War, a newly released document reveals. 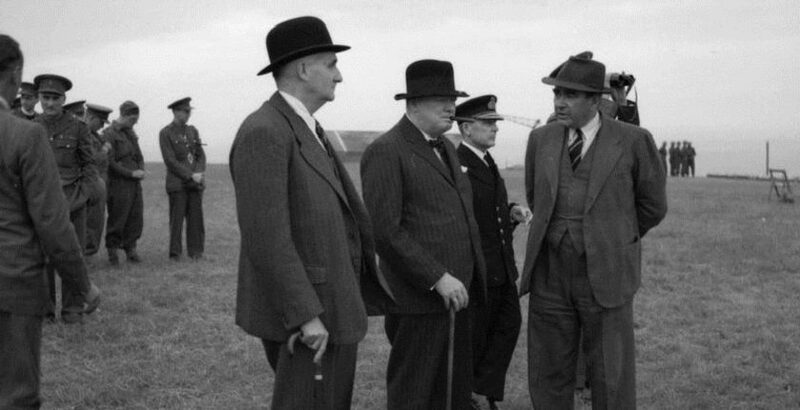 The previously unseen memorandum from the FBI archives details how Britain’s wartime leader made his views known to a visiting American politician in 1947. Churchill believed a pre-emptive strike on Stalin might be the only way to stop Russia conquering the West. The note, written by an FBI agent, reports that Churchill urged Right-wing Republican Senator Styles Bridges to persuade President Harry Truman to launch a nuclear attack which would ‘wipe out’ the Kremlin and make the Soviet Union a ‘very easy problem’ to deal with. The Russians would have been defenceless against a nuclear attack at that time – they did not successfully test their own atomic bomb until 1949. Britain and the Soviet Union had been allies in the Second World War until 1945, the year Churchill lost office as Prime Minister. But he was one of the first international statesmen to recognise the post-war threat posed by the USSR, and in 1946 made a famous speech in Fulton, Missouri, about an ‘iron curtain’ having descended across Europe as Joseph Stalin consolidated his grip on the eastern half of the continent. The FBI document shows Churchill’s belligerence towards Britain’s former wartime ally ran so deep that he was prepared to tolerate the deaths of hundreds of thousands of Russian civilians in a nuclear strike. The memo claims Churchill ‘stated that the only salvation for the civilisation of the world would be if the President of the United States would declare Russia to be imperilling world peace and attack Russia’. The note continues: ‘He pointed out that if an atomic bomb could be dropped on the Kremlin, wiping it out, it would be a very easy problem to handle the balance of Russia, which would be without direction. The memo is published for the first time in a book called When Lions Roar: The Churchills And The Kennedys, by award-winning investigative journalist Thomas Maier. John F. Kennedy regarded Churchill as his hero and made him an honorary American citizen in 1963 – the first person to be given such an accolade. The two families shared friends, such as Greek shipping magnate Aristotle Onassis, who married Jacqueline Kennedy after her husband’s assassination. 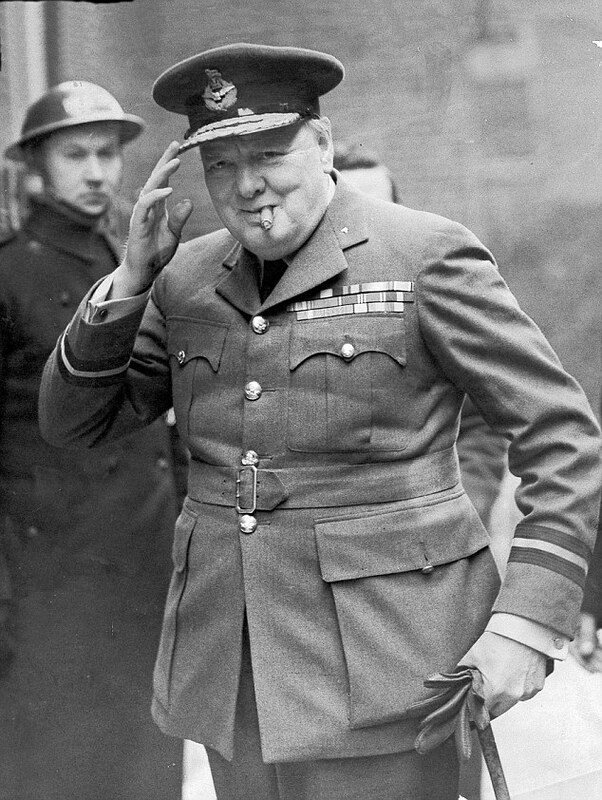 Maier said: ‘Churchill had been a great historian of warfare. He saw the last great cavalry charge during the First World War and championed the development of tanks. 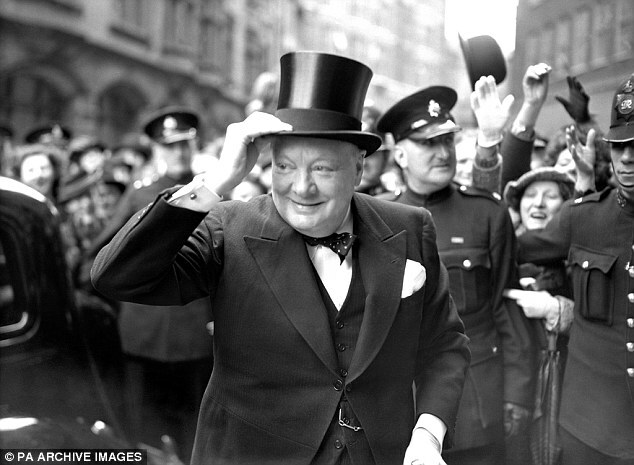 Maier said Churchill was more ‘bellicose’ when out of office. After he returned to power in 1951, a nuclear attack against the USSR was never mentioned again. In light of his alcoholism, his high positions, his journalism, and his record of academic mediocrity (at best), one has got to wonder how this puffed-up “literary giant” was able to muster the time and discipline necessary to author so many books. Well, you see, the “prolific” multi-millionaire writer not only has the help of “literary assistants”, (ghostwriters) but he is also a plagiarist! A young historian Maurice Ashley contributes heavily to Churchill’s 1937 ‘A History of the English-Speaking Peoples’. Years later, another historian named William Deakin pens an enormous amount of material for Churchill, including most of the text of his “widely acclaimed” series on World War II. The military narratives are supplied by a retired general, Sir Henry Pownall. By the 1950’s, an aging and alcohol-addled Churchill is relying upon an entire team of writers to do much more than just research, contribute, and edit, but really take over his work. The multi-million pound one-man literary enterprise that was Winston Churchill was not a one man show after all. -- Ashley, Deakin and Pownall. “Pownall, ironically enough, had often confided to his own wartime diary rage and frustration about Churchill's intemperate interferences in military operations. Now, for a salary of £1,000 a year, along with a less influential naval counterpart, he played a key role in the fortification of the Churchill legend. Churchill skillfully injected into the narrative just sufficient rolling phrases in his own inimitable style to put a personal stamp upon the published version. The opinions and judgments expressed were, of course, entirely his own. But, from the delivery of the first volume onwards, some critics, including Life magazine which had paid vast sums for serial rights, expressed misgivings about countless pages of contemporary documents rendered verbatim in the text, to make up the weight. 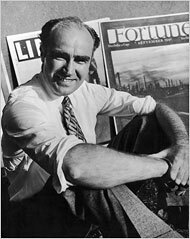 Henry Luce, the legendary founder of LIFE Magazine, came to understand that Churchill was a money-grubbing plagiarist. “Churchill of course is no stranger to counterfeit art. In dire financial straits in the 1930s he took to faking the paintings of the deceased French impressionist Charles Maurin because Maurin's signature sold somewhat better in the Left Bank boutiques in those days than did his own. In ‘Churchill’s War: Triumph in Adversity’, historian David Irving uncovers a 1942 letter from FDR to Churchill in which the former teases the British Mad Dog - a mediocre painter - about a 1937 scam in which Churchill put impressionist Charles Maurin’s names to his paintings – and then sold them to boutiques!